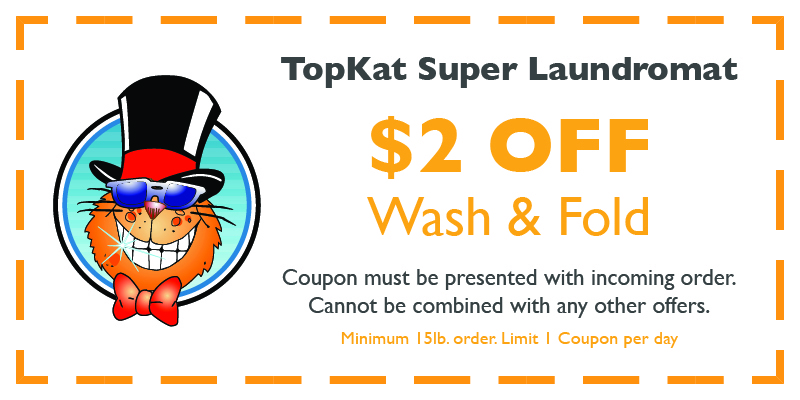 TopKat Super Laundromat was founded in March of 2005 with one idea in mind. 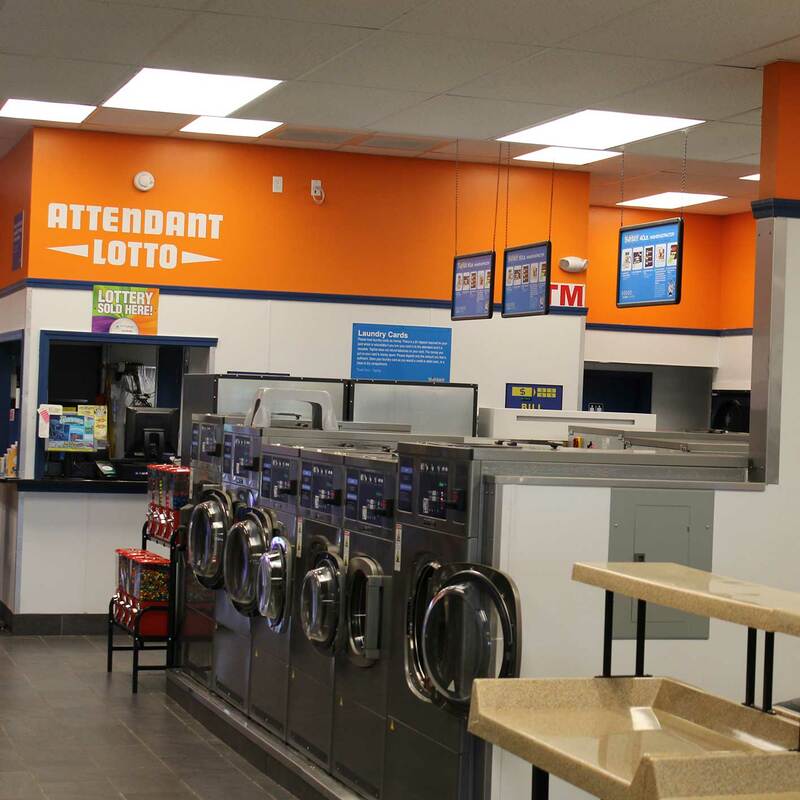 That idea was and still is to provide laundromats that are second to none in the industry. 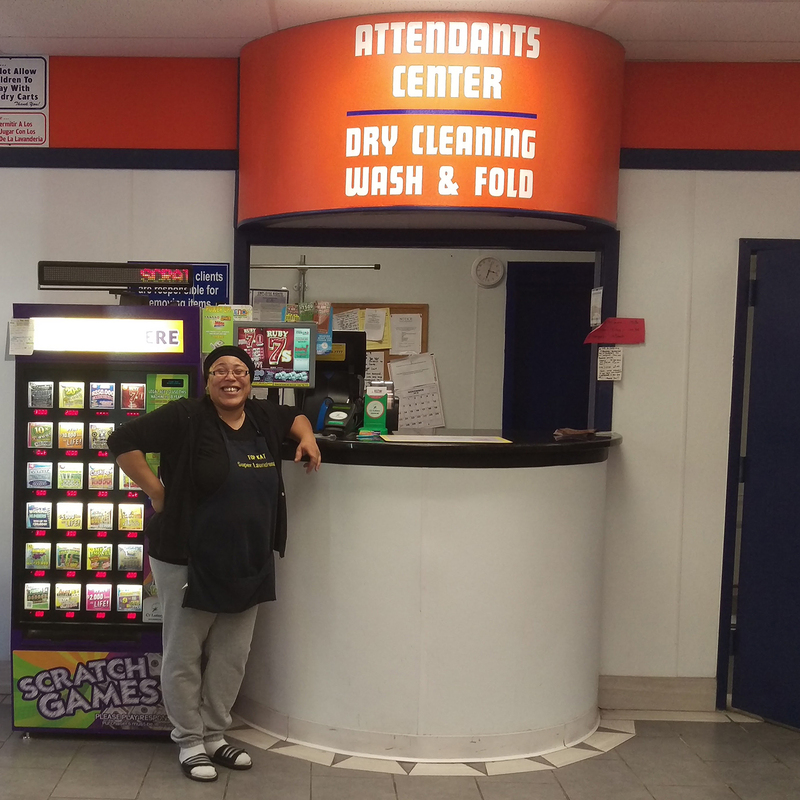 By that, we mean to get as far away as we can from the stereotypical laundromat — old, dirty and small. 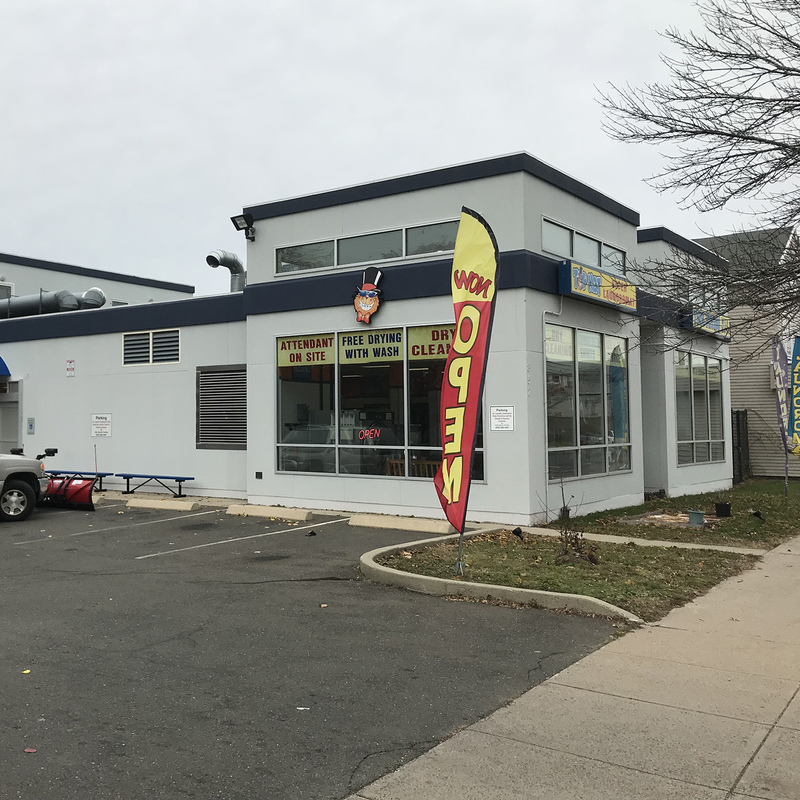 It begins with having store personnel trained to cater to your questions and problems — and to keep the store clean, safe, and problem-free during your visit with us. All TopKat stores share these same attributes. Stores are very bright and well lit so that your safety & security are never a concern and you can concentrate on your laundry. We also want you to see how clean the stores are. An abundance of parking is a must for our customers. Our parking lots are also very well lit at night for your safety and convenience — no matter what time you decide to do your wash.
We offer top quality dry cleaning & shirt laundry services. We clean everything from wedding gowns to leather boots and jackets. 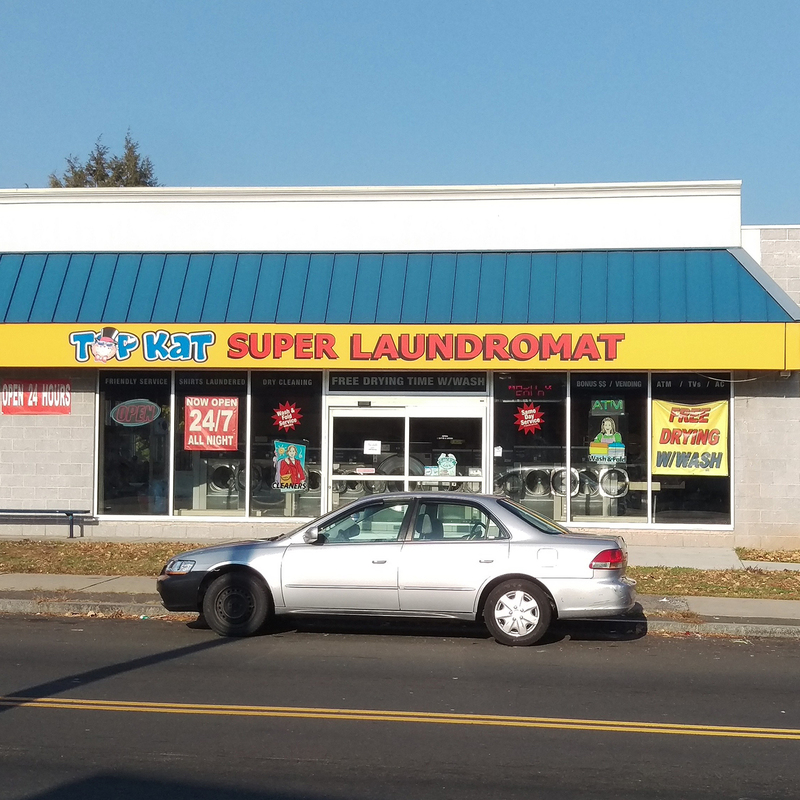 The owners first business was dry cleaning — he specializes in it and is recognized as being one of the best in the dry cleaning industry. 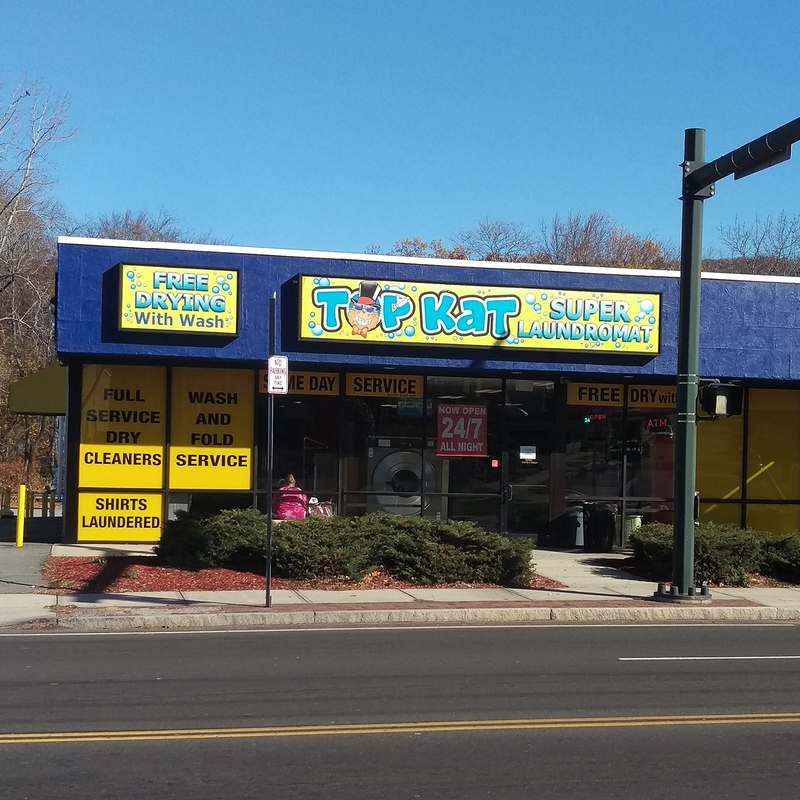 TopKat stores are always attended — we wouldn’t have it any other way. Attendants are available to serve you, our customers. Bathrooms are kept clean. Floors, machines, tables & chairs — all are tended to multiple times throughout the day. Take comfort in clean. We have equipment for even your largest loads. 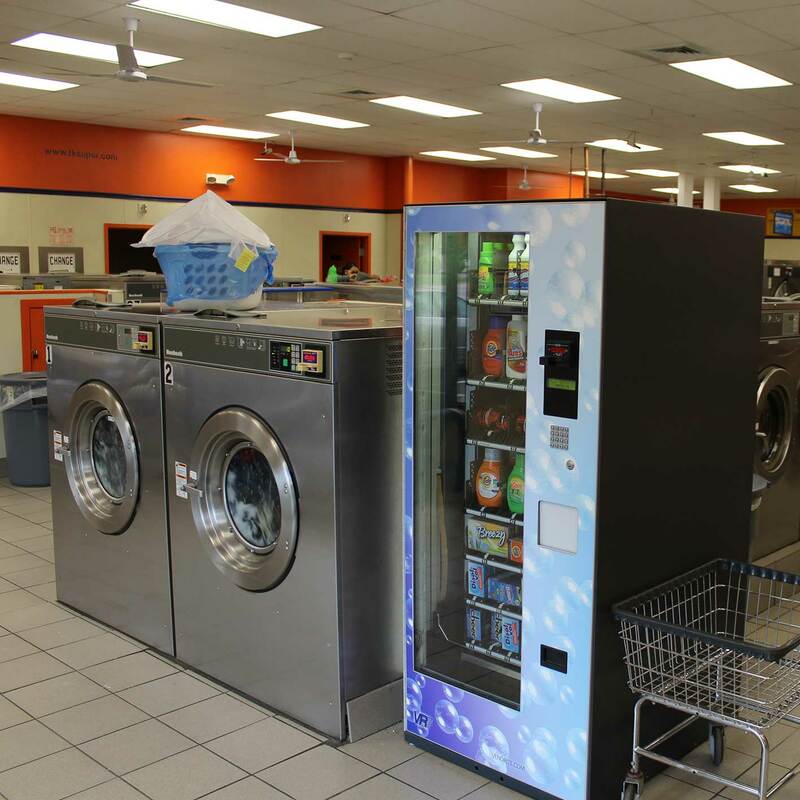 We have an abundance of extra large washers & dryers including 80 and 100 lb machines — we even have “MegaKat” 125lb washers. 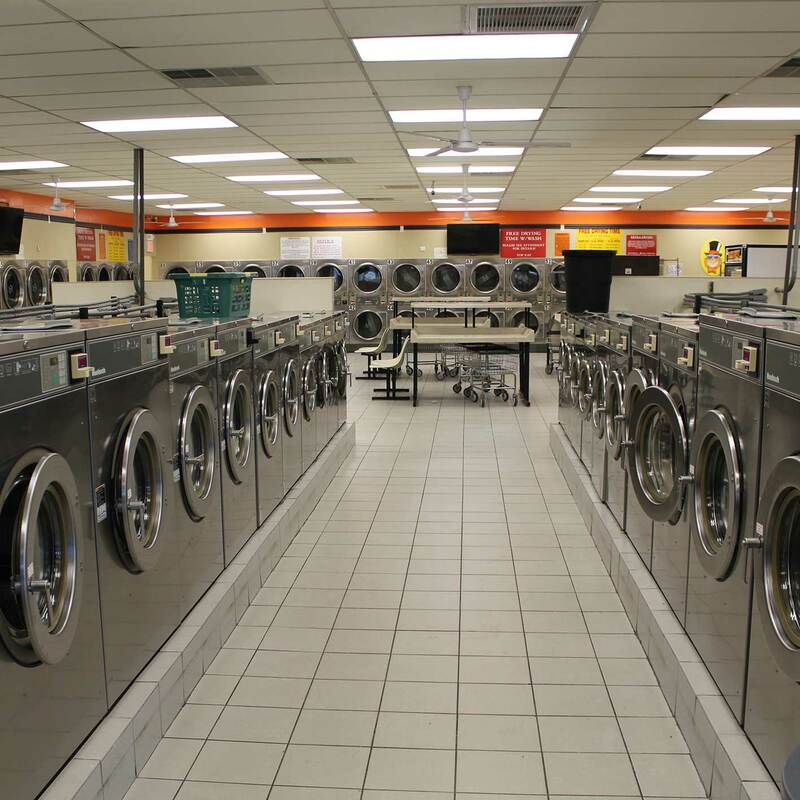 No matter what your laundry needs are, we have equipment for you. When you load your laundry card with at least $20 we will add extra bonus money on your card for you. 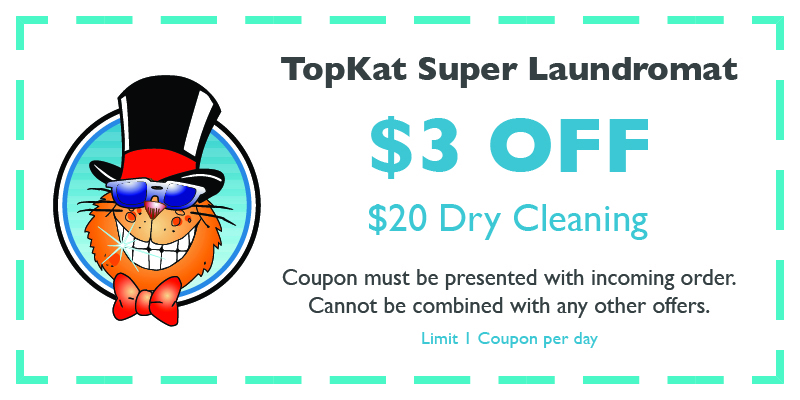 All TopKat stores give their customers plenty of FREE drying minutes to dry their clothes. Please use as suggested (signs posted in stores and attendants on duty to help). If you do not use your FREE drying minutes you will accumulate that extra time on your card. They do not go away! 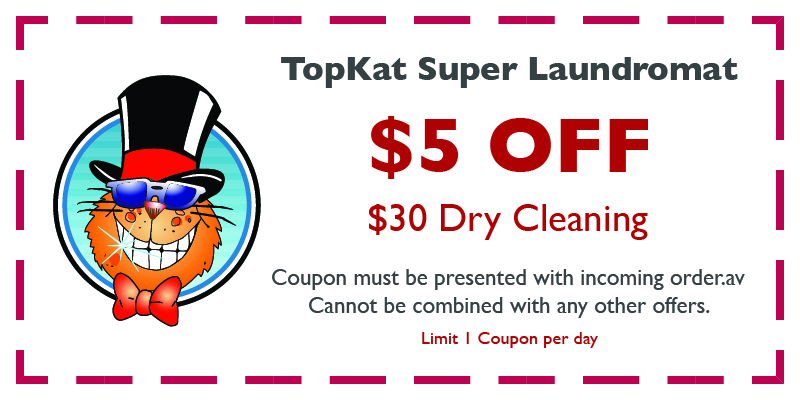 Bring 5 or more shirts to be laundered and you will always get a discount! 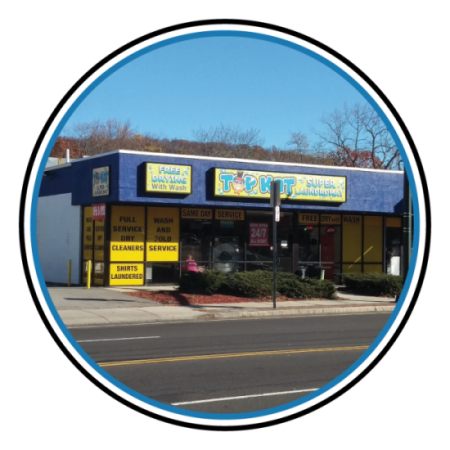 With over 50 years of combined industry experience, you can trust our professional dry cleaning staff with all your dry cleaning and shirt laundry needs.